Every year, over 50 million people visit New York City, including those who make the trip for a day. 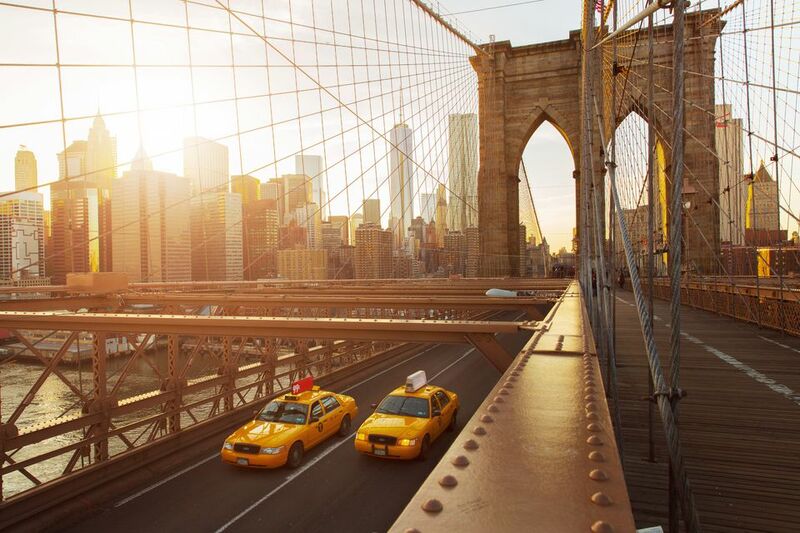 The “City That Never Sleeps” offers plenty of attractions for every type of traveler, from historic landmarks of America’s past to shopping and dining that look towards the future. Although there is plenty of excitement to be had in throughout "NYC," danger can also lurk at every corner for those who are not prepared. As with many major cities around the world, scam artists and criminals often prey on tourists. As a result, those who do not self-educate before their adventure to the big city often leave without some of their personal items. Before making the trip to New York, be sure to prepare for all the potential scams and pitfalls that could come with a city vacation. Here are five of the most common scams and situations travelers often run into. For years, Times Square has been known as the “Crossroads of the World,” due to the numerous attractions that attract travelers. Scam artists are also aware of the sheer number of tourists, and often do whatever they can to take advantage of unaware visitors. Over the last several years, costumed characters continue to appear in Times Square at all hours. These characters can range from popular cartoon characters and superheroes to the famous “Naked Cowboy” and the more recent body-painted “desnudas.” They will often beckon travelers to pose with them for photos, with the expectation of a tip afterward. When they do not get the tip they want, some have been known to get confrontational and demand more. While there is nothing wrong with taking a photo with the many colorful characters of Times Square, travelers should not feel pressured into stopping for a picture. For those who do decide to take a picture with the roaming characters, the Times Square Alliance offers the following advice: “You are not required to tip costume characters, but if you take a photo with one of them please note that a tip is expected.” Those travelers who ultimately feel harassed or intimidated by one of the Times Square characters should report their experience to a police officer or Times Square Safety Officer. There is no shortage of museums and attractions that travelers can partake in throughout New York City. Many of the attractions are free, while other museums are available to tour for free or discounted prices on certain days of the week. However, tourists who do not know about these special dates could be conned into paying for tickets. One of the most common scams involves the free Staten Island Ferry. Travelers who have never boarded the ferry or are new to the city may be under the impression they need a ticket to board, even though the ferry is a free service that operates around the clock. Scam artists can often be found outside the Ferry terminals, offering to sell tickets they no longer need. Scammers will often negotiate on the price, happy to get rid of their “tickets" to an unknowing traveler. Those who are approached by individuals trying to “sell” Staten Island Ferry tickets should decline and walk away immediately. Furthermore, travelers should research their attractions ahead of time to make sure they don’t overpay for a free ticket. A traveler’s risk is not limited to the hard streets of New York City. Instead, some risks can be found by sitting down at the dining table by unscrupulous servers looking to add a little extra to their pockets. In 2013, several chain restaurants in Times Square were discovered adding on mandatory gratuities to guests’ dining bills. Furthermore, those same receipts also had an extra line for adding an additional tip. As a result, unaware travelers could give two tips for the same amount of service. Although New York City laws allow for restaurants to add on a 15 percent gratuity for parties of eight or more, these tips were added to regular diner’s bills. Before paying the bill, travelers should double check and make sure they are paying for only what they ordered, and not an extra tip. If an extra gratuity has been tacked onto a bill for parties under eight people, travelers should escalate their complaint to the restaurant manager, or even the ​NYC Consumer Affairs Department. Travelers can also appeal their charge to their credit card company if they feel they were overbilled. There is no shortage of ways to get around New York City, both above and below the ground. Taxi and rideshare options can get travelers through the boroughs, while the subways can take travelers almost anywhere they want to go. No matter which way travelers decide to get around, there are some inherent risks they face. On the surface, travelers often face difficulties with illegal liveries or rideshares. Also known as “gypsy cabs,” illegal liveries will often pull up to travelers looking for their ride and offer them a ride. Illegal liveries are not registered with the Taxi and Limousine Commission, meaning travelers can be coerced to pay more. This problem is not limited to taxi cabs: last year, city officials busted nearly 500 Uber drivers for making illegal pickups at John F. Kennedy International Airport. In the subways, scam artists also have multiple ways of preying on travelers. One of the most common scams come from those who have “extra money” on their disposable MetroCards. Scam artists will offer their unused cards to travelers who are looking to get to their next destination for a fraction of the value. Much to the traveler’s surprise, the cards often have little or no value loaded on them, meaning they overpaid for a MetroCard they must ultimately reload. Travelers should only purchase their MetroCard from the subway kiosks. Furthermore, it is illegal to sell or otherwise transfer a used MetroCard. Travelers approached to purchase a MetroCard should walk away, or alert the nearest police officer. Finally, subway dangers are not just limited to scam artists outside the turnstile. Travelers riding the rails are also subject to pickpockets trying to part them from their personal items. In addition to the traditional pickpocket schemes, the New York subways are known for the “lush workers” that often target sleepy or inebriated travelers. Travelers who fall asleep on the subway may often find themselves with a cut open pocket and their valuables missing. Those who end up riding the subways late at night should remain vigilant for suspicious characters looking for drowsy passengers. In addition, travelers should always protect their valuables by keeping them close and monitoring their items at all times. Is Ride Sharing Safer Than a Taxi?